If you are a homeowner, you know that plants add the perfect touch to your home décor. If you are a pet owner, you know that you need to be extra careful with what plants you decide to bring into, or put around, your home. Daffodil – This is a common flower found in many floral arrangements. You may want to think twice about keeping this flower around your home if you have cats or dogs. Daffodils, especially the bulb, is extremely toxic. Ingesting daffodils may cause nervous system programs, heart problems and gastrointestinal issues in your house pets. Oleander – Have you ever seen the movie White Oleander? If you have, you know that this plant is extremely poisonous. If this plant is ingested by both humans or animals, it can be fatal – even if only a small amount is eaten. Tulips – This is a very common flower that most homeowners use around their homes. If you have animals that wander the outdoors freely, you will want to keep a close on this plant. Tulip bulbs can cause convulsions, heart problems, nervous system and gastrointestinal distress if ingested. Water Hemlock – This plant is considered to be the most poisonous plant found in North America (yikes!) Found in land that is marshy, this plant is often confused for edible plants such as sweet potatoes, anise, parsnip and celery. 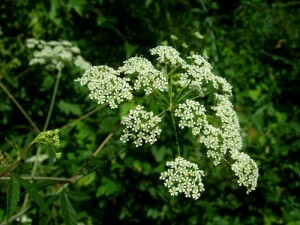 When ingested, water hemlock causes immediate seizures, salivation, coma and death. Azalea/Rhododendron – This common plant is often used as shrubs around homes. 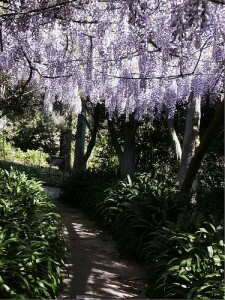 While these plants are very beautiful with their large, bright flowers, they are very poisonous if ingested. Causing diarrhea, depression, vomiting and nervous system problems, ingesting this plant may even lead to coma and death. 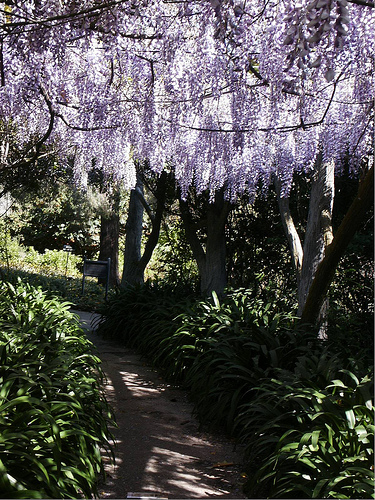 Wisteria – This ornamental flowering plant is extremely common around the outside of homes. Known for it’s beautiful flowers, the seeds and pods can be extremely poisonous if ingested. Make sure your animals stay away from this plant! Next post: What Is a Modular Home?